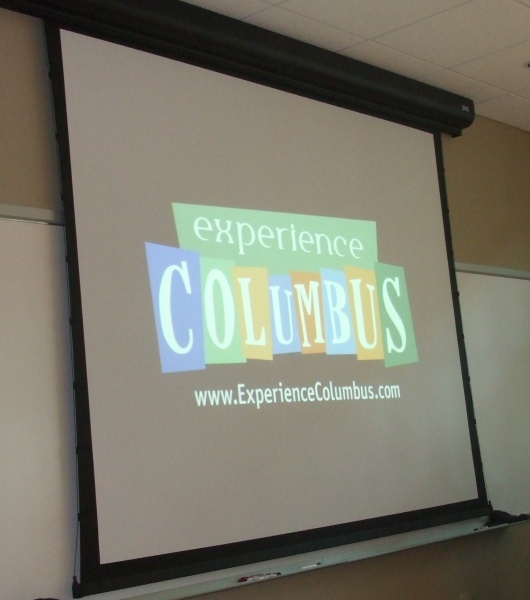 I and a few other Ohio bloggers and podcasters got an opportunity to get a sneak peak of the up coming marketing campaign for Experience Columbus. They have a lot of ideas, which center around an interesting idea, define something that absolutely does not exist in Columbus, get the audiences attention, then draw them to see the other things they can do in Columbus. The four ideas they presented were Mt. Everest, Eiffel Tower, ancient pyramids and catching Sasquatch. The VIP event featured products and services you can find right here in Columbus. The one that stood out was SKREENED, a custom apparel company that has a fresh twist on the cafe press approach. They have a number of very funny shirts, I think the funniest one is the </GOP>, which if you’re familiar with web programming you’ll get the joke. The last portion of the VIP event covered the www.notincolumbus.com web site which will be launching very soon. They demonstrated all the functionality of the site followed by an open discussion session. Many of the guests including myself had many suggestions and expressed opinions/concerns regarding the site they have planned. They seemed very eager to receive our input. 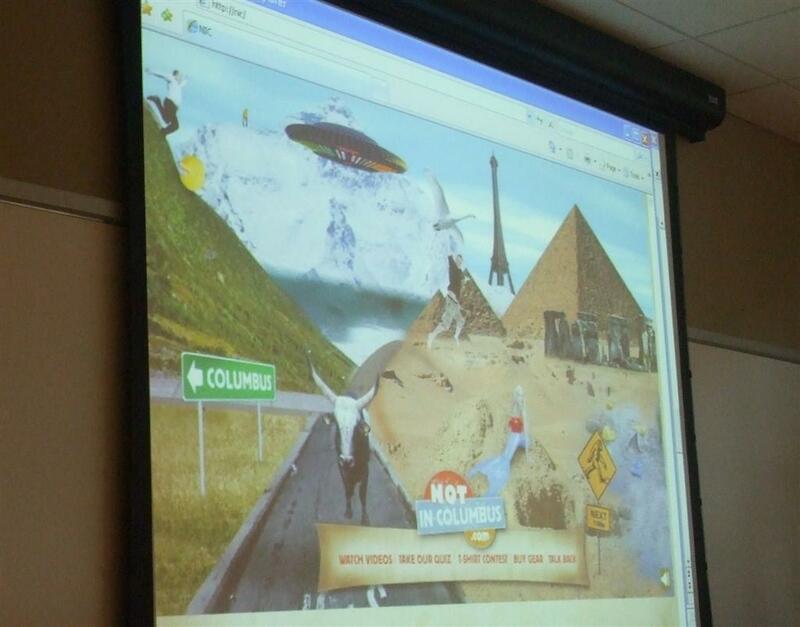 It will be interesting to see if and how the Not In Columbus site evolves. The campain should be very exciting and I’m hopeful they will set some guidelines to allow others to create viral videos that would help sturr buzz and and give many Columbus area residence a lot of fun and pride making their own Not In Columbus videos.